The MS-3 Multi Effects Switcher is a new-concept pedalboard solution that maximizes your creative options by combining a world-class multi-effects engine and multi-pedal switcher in one small, dedicated unit. Now, anyone can put together a professional effects system that's incredibly compact, extremely light, and versatile enough to achieve nearly any sound imaginable. The MS-3 is a sonic powerhouse capable of running six internal pedal effects at once while seamlessly integrating three of your favorite external pedals. It also offers deep rig control capabilities, allowing you to switch amp channels, adjust effects in real time, work with MIDI devices, and more. The MS-3's highly flexible design gives you the freedom to create any kind of effects system, from simple to complex. It can serve as a general-purpose effects unit to augment core tone from three stompboxes, or function as the central hub of an advanced hybrid rig with MIDI gear and channel-switching amps. It even works as a standalone effects processor, making it perfect for fly dates and other times you need to travel light. Via the MS-3's audio loops, you can connect three different effects devices to the system. You'll probably want to hook up your favorite drive and booster pedals to the loops, but you can use any effects you like. Once your pedals are connected, you're able to switch the loops on/off individually, and position the MS-3's onboard effects around them any way you want. 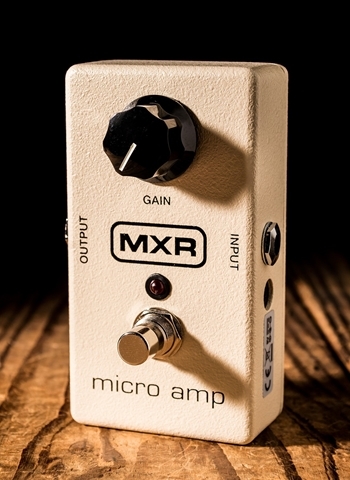 To complement the three external loops, the MS-3 is equipped 112 effects types to choose from. They're organized in six categories, which are available simultaneously: FX1, FX2, Mod1, Mod2, Delay, and Reverb. FX1 and FX2 contain many different types, from overdrives and distortions to compressors, pitch shifters, Slow Gear, and many others. 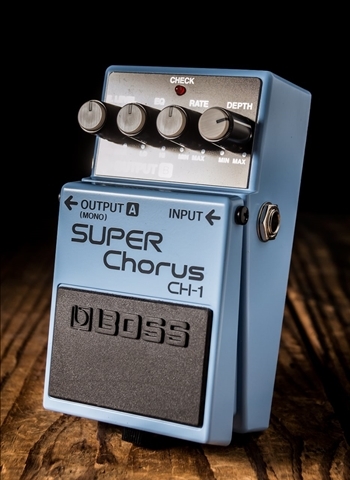 Mod1 and Mod2 offer the famous BOSS chorus and vibrato effects, plus tremolo, flanger, phaser, and more. The MS-3 is packed with decades of BOSS compact pedal and multi-effects know-how, and offers an ultra-efficient design that lets you dial in inspiring sounds right away. There's a backlit LCD that clearly shows patch/bank numbers and parameters, plus quick-access knobs for editing and status indicators for all loops and effects. And with 200 patch locations, you have ample memory for storing effects and control setups for instant recall. 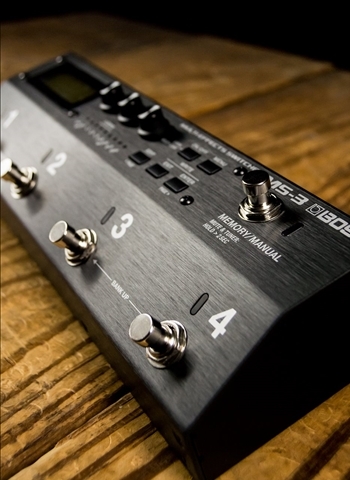 The MS-3's heavy-duty footswitches give you easy command of the entire system. In Memory mode, the footswitches allow you to select patches and banks. Changing to Manual mode lets you switch loops and effects on/off, and even control multiple effects parameters for intense real-time expression. 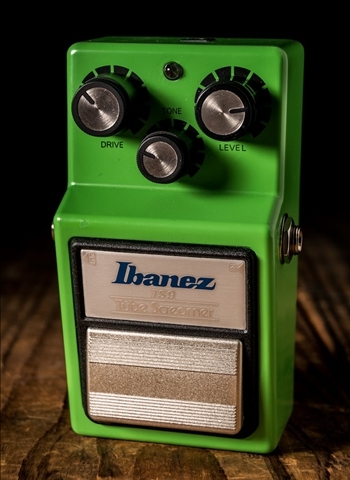 Going well beyond the basics, the MS-3 provides tons of options for expanded control. 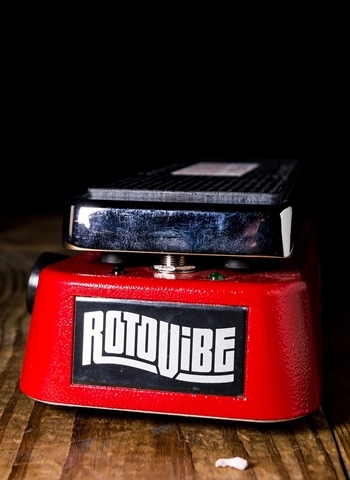 You're able to connect external footswitches for tap tempo, effects on/off, and parameter adjustment, plus expression pedals for volume, wah, pitch shift, and more.